We will use your information to respond to you, regarding the reason you contacted us. We will not share your information with any third party outside of our organization, other than as necessary to fulfill your request, e.g. to mail documentation. The credit card data information we collect is encrypted and transmitted to us in a secure way. You can verify this by looking for a closed lock icon at the bottom of your web browser, or looking for “https” at the beginning of the address of the web page. 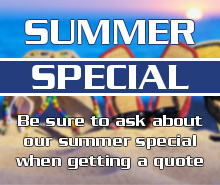 Don’t forget to ask about the discount on our 2 Year Pest Control Service Plan! Due to technical issues we are not receiving form request. Please call 1-866-430-9801. The IT department hopes to have this matter resolved as early as possible. We apologize for the inconvenience.